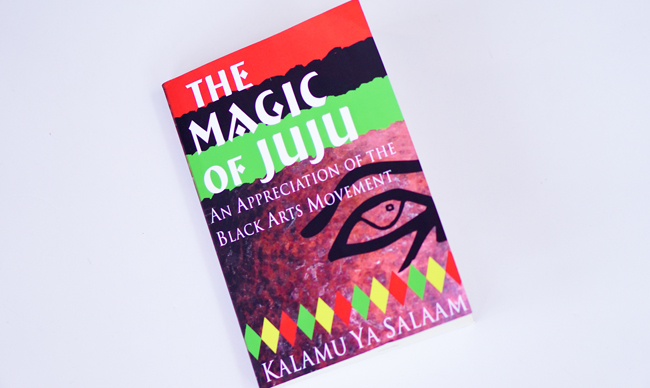 I first read chapters from Kalamu ya Salaam's The Magic of Juju: An Appreciation of the Black Arts Movement (Third World Press, 2016) over 15 years ago. So let's be clear: Salaam was well ahead of the expanding growth of black arts scholarship that occurred over the last 10 years. In fact, many of us who produced books during that time period were drawing on lessons from Salaam. Salaam had shared the unpublished manuscript with me years ago when I was a graduate student, after I sent him an email and asked if could I check it out. At the time he barely knew me, but I guess he took me at my word when I said I was doing work on the Black Arts Movement. Further, my undergraduate mentor, Jerry W. Ward, Jr., and Salaam are good friends, so perhaps that's why he freely sent along the manuscript. Or, more simply, he's just generous like that. I first heard about Salaam's manuscript from scholar James Smethurst, who I had met at a conference early in my graduate career. Smethurst had generously passed along chapters of his then in-progress manuscript, which would later become The Black Arts Movement: Literary Nationalism in the 1960s and 1970s (2005). At one point in our exchanges, Smethurst referenced an important unpublished manuscript on the Black Arts Movement, and encouraged me to email the author, Salaam. I benefited from The Magic of Juju then, and I'm benefiting by re-reading it now. This book offers a distinct and unusual perspective on the Black Arts era, as Salaaam writes from the position of "participant and critic" of the flourishing of arts that emerged during the 1960s and 1970s. 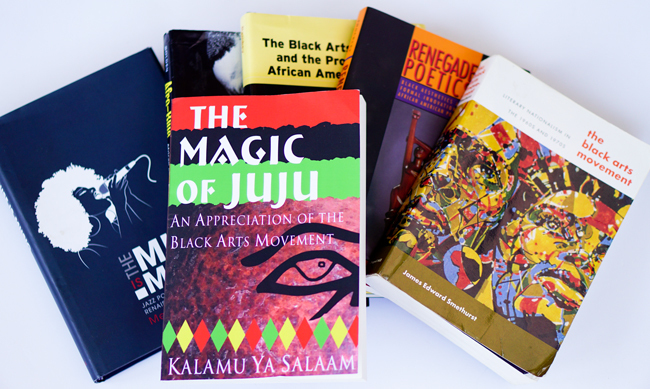 In the preface, dated 1997 and revised in 1999, Salaam notes that the "goal for this book is to give readers an accurate introduction to the history and significance of the Black Arts Movement." Although the official publication date says 2016, we understand his book as an early introduction and contribution to the contemporary scholarly discourse on black arts.